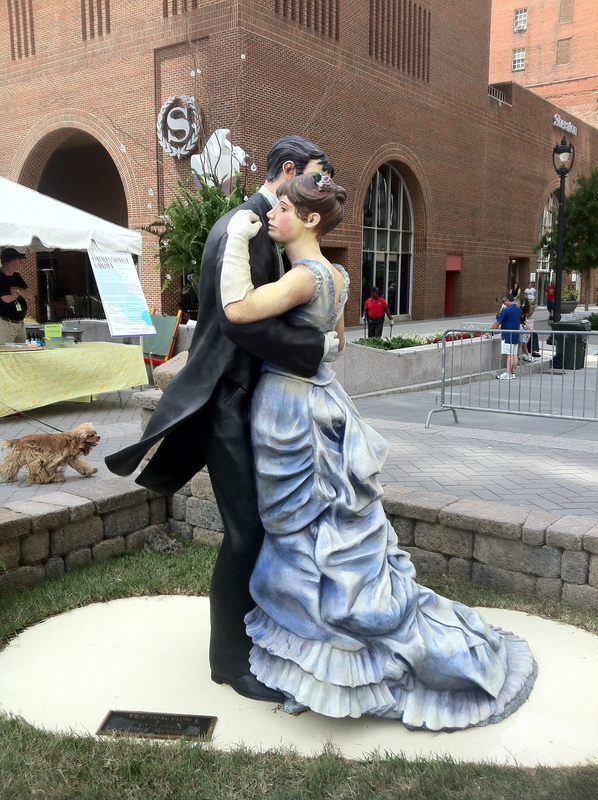 Even after 33 years, Artsplosure still manages to bring fun visual and performing artists to Raleigh every spring. 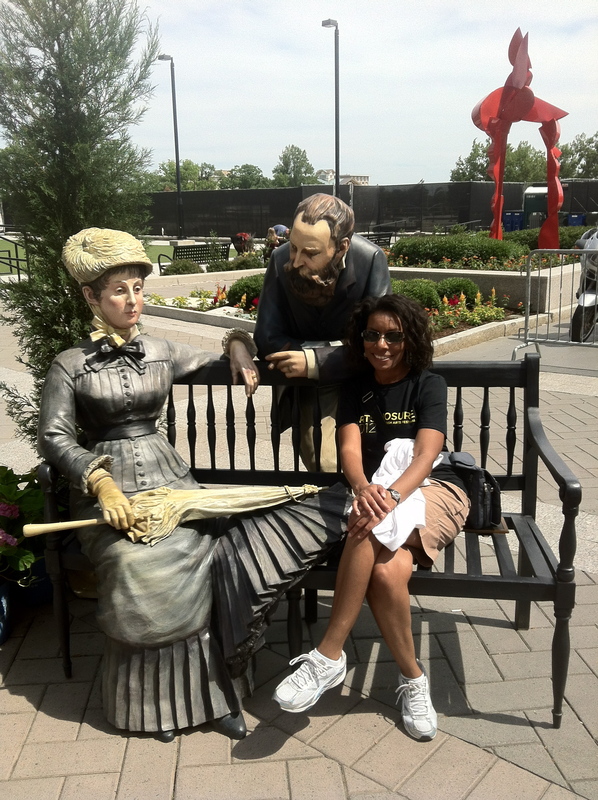 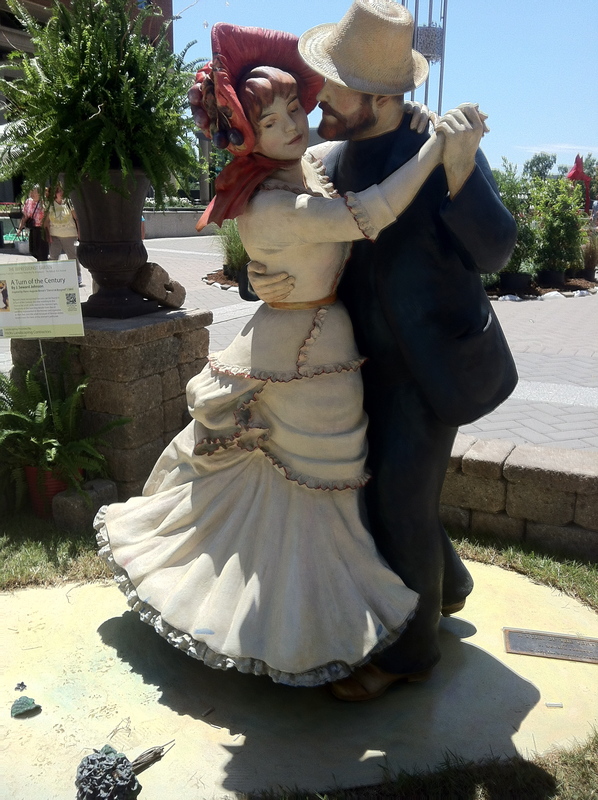 This year brought The Impressionist Garden, which featured eight life-sized, painted bronze sculptures by artist Seward Johnson. 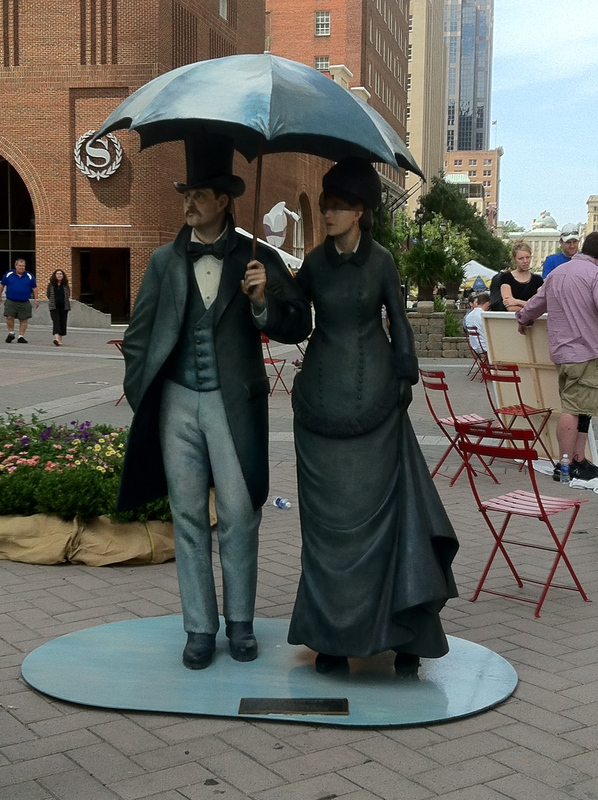 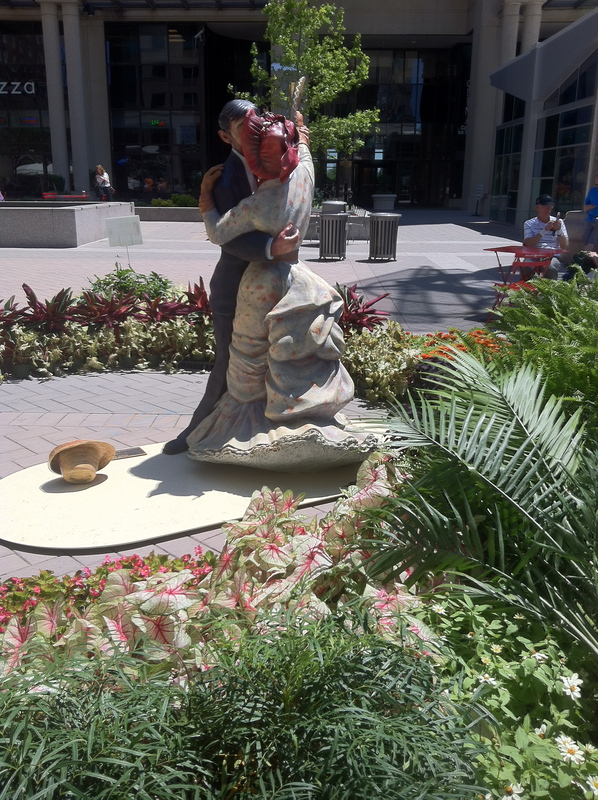 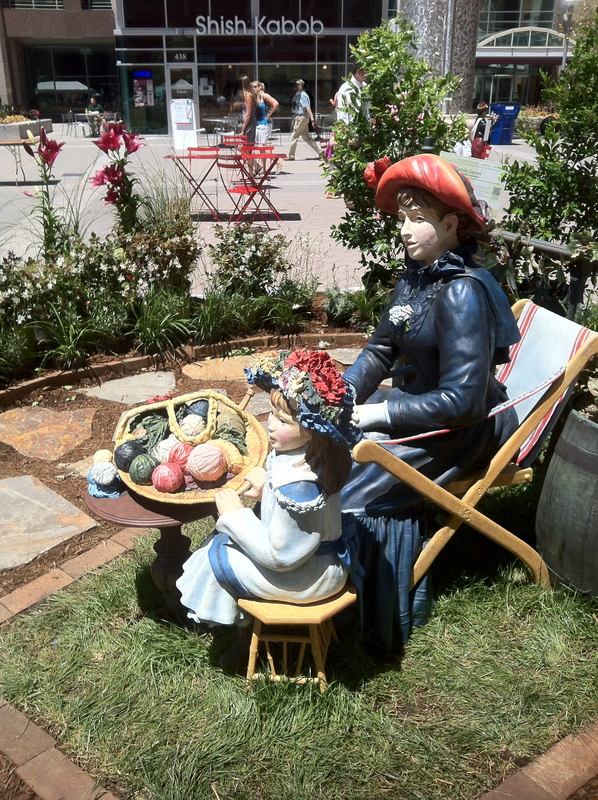 Set in a temporary garden setting on City Plaza downtown, Johnson’s sculptures brought iconic people from the Impressionist paintings of Renoir, Manet, Monet and Caillebotte off the canvas and into our 3-D world. 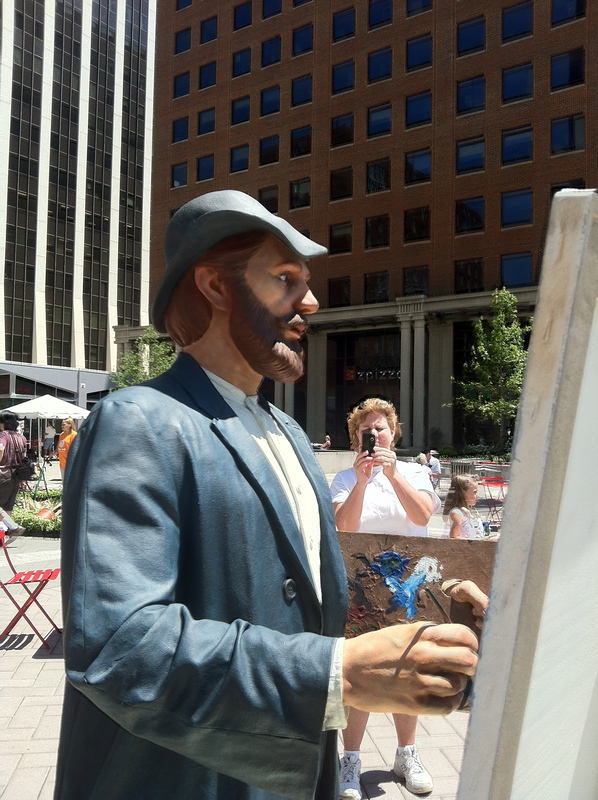 Note: Nice touch that Monet is shown painting the Progress Energy Center for the Performing Arts which is the building he is facing. 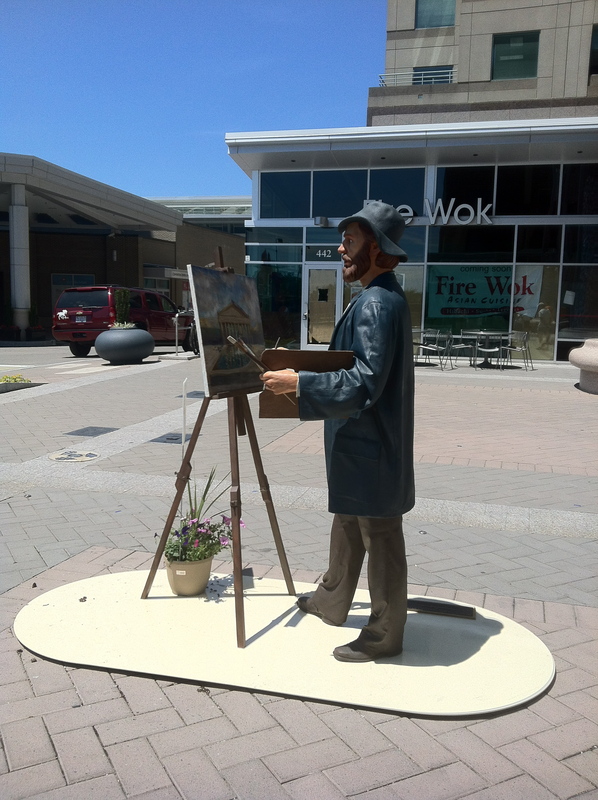 Visit the links below for more details on the sculptures and to view the paintings that inspired them.